Now that Pakistan has been put out of its misery and the dust is finally starting to settle, let’s get back to the drawing board. There is a lot that went wrong but it wasn’t entirely unpredictable. Give me an opportunity to walk you through the events that transpired when the nation was still high on the Champions Trophy victory. Immediately after becoming champions, Pakistan hosted a weak Sri Lankan team in the UAE. They cruised their way to an ODI clean sweep. Confidence went skyrocketing and a bubble of illusion was formed. Then came January of 2018 and we went on a tour to New Zealand. This was our first competitive tour since June 2017. Pakistan got hammered, beaten, thrashed, smacked and finally whitewashed in the ODI series against New Zealand. I tried to raise the red flags that all is not well. I wrote on Pakistan seeming like a lost child but little mattered back then because we were still watching the Champions Trophy final on repeat. It was alarming that whitewashes didn’t hurt our ego anymore; somehow Pakistan Cricket Board (PCB) scrapped that humiliation from the fans’ memories. They kept diverting focus to our T20 ranking. Then came the below par West Indies tour of Pakistan in April of 2018, three months after the boys returned with bruises from New Zealand. There was not a single ODI scheduled. The team kept breathing life into the Champions Trophy memories. Next up, the Men in Green went on a tour to Ireland, Scotland and England during May-June of 2018. They toured three countries and participated in a total of zero ODI series. Nobody cared! By this time, one whole year had passed since the Champions Trophy final and except the drubbing received in New Zealand, Pakistan had not played ODIs against any top competitive side. Nobody cared! July of 2018, Pakistan decided to tour Zimbabwe that included five ODIs. I am all for promoting cricket but is the responsibility of playing against teams of lower quality solely on Pakistan? Had we not done our share by playing Scotland and Ireland earlier in the year? We beat a depleted Zimbabwe side 5-0 in ODI series with a full strength team and blew more air into our bubble of illusion. Finally, we enter September of 2018 and where we stand today. We entered Asia Cup high on a victory that took place more than a year ago. Since then we have not played a single competitive ODI series, except one where we took a severe beating from New Zealand. Instead of being nervous of our lack of preparation prior to the Asia Cup, PCB made a great use of white lies. Misleading numbers, stats and figures were used to hype up the fan base. Figures such as Pakistan has won its last ‘xyz ODIs’ or Pakistan has not lost in the UAE for ‘x amount of time’ were floated around on social media. White lie means telling a partial story and intentionally hiding the relevant facts. Nobody revealed that the stats are highly inflated because Pakistan has only been playing ODIs against below average teams. The stats of teams like India may not seem so pretty on paper but that is because they have been playing only quality cricket. While Pakistan was busy sending their top quality side to tours like Zimbabwe, Ireland and Scotland, India was battling with the big boys. Whether India lost against Australia or England would not matter. The fact is they were always playing best quality of cricket. Now that we have done a little flashback of what has followed since our Champions Trophy victory, tell me honestly what surprises you? Isn’t a team that plays quality cricket supposed to thrash a team that either played no ODIs or played against lowest quality opponents for a whole year? Does it surprise you that a team that has won no significant ODI series against a quality side in over a year got knocked out of the Asia Cup? If this was not on the cards then what was the expectation? Did we really think we would wake up to see Fakhar Zaman ride his luck and guide us to another trophy? I didn’t say a word prior to the Asia Cup. I knew the bubble hasn’t burst yet and my concerns regarding the team wouldn’t hold merit for Pakistani fans. Finally, when the nightmare has ended for Pakistan, I thought it would be best to share where I felt we went wrong. 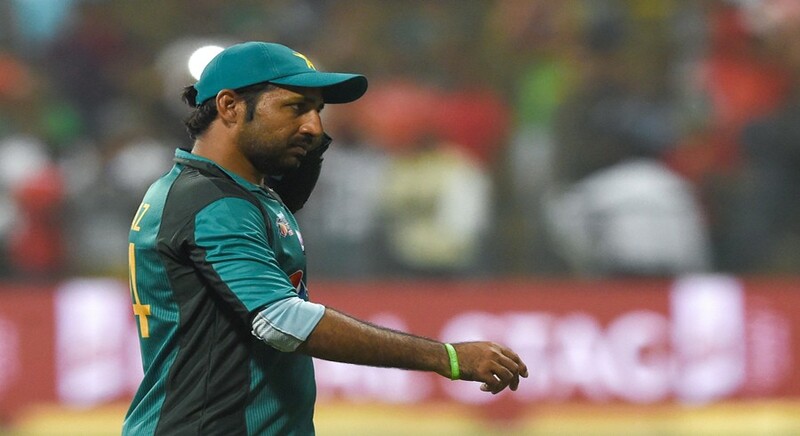 Sarfraz Ahmed will face an unprecedented amount of criticism, as the losses have undoubtedly been embarrassing and ugly. His captaincy, specifically in the last match against Bangladesh, has been appalling. However, it is not entirely his fault as the management had scheduled tours with teams that never tested his captaincy for an entire year, barring Pakistan’s tour of New Zealand. Fans will be calling for heads to be rolled but that is not the main problem. These young players were talented back in Champions Trophy and they are talented today as well, but how will you discover your weaknesses when you only play against the weakest? To remain a champion, one must keep playing against champions. Pakistan did the opposite and paid the price. Batting, bowling, fielding and captaincy, all of it went downhill when the pressure was on and the opposition wasn’t amateur. Tour better teams next time prior to a tournament or choose a different tournament where only Ireland, Scotland, Sri Lanka, West Indies and Zimbabwe are participating. We’re not ready for the big boys as yet.